Chennai: The opposition DMK and other groups, in Tamil Nadu, are staging a series of protests against the Narendra Modi government, for what they call defiance of the Supreme Court's order, by not constituting the Cauvery Management Board (CMB). The police have detained around 200 DMK protesters today. DMK supporters protested at several places in Chennai; they blocked the arterial Anna Salai stretch in Saidapet, affecting traffic movement. The party has announced that it would step up protests in the coming days against the Centre and along with its allies, has called for a shutdown on April 5, over the Cauvery issue. Yesterday, DMK's acting chief MK Stalin, was taken into custody while protesting against the Centre for not setting up the CMB. 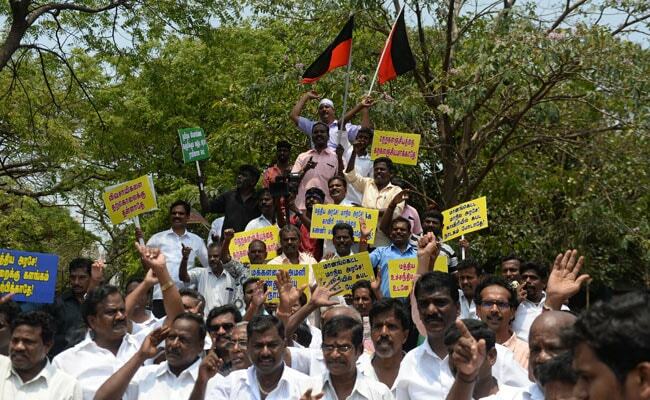 Led by Mr Stalin, leaders of Congress and VCK parties protested at Valluvar Kottam. The Centre, on Saturday, had moved the Supreme Court seeking clarifications on constituting the CMB and seeking three months' time citing elections in Karnataka. The Centre told the top court that Cauvery is a sensitive issue and it will have law and order impact on the elections if the order was implemented immediately. 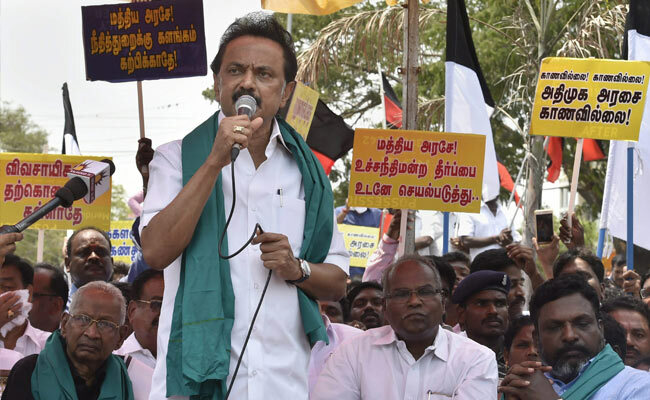 Addressing the crowd, Mr Stalin said black flags would be shown to Prime Minister Narendra Modi, whenever he comes to Tamil Nadu, for not constituting the CMB. The party also said it will organise a 'Securing Cauvery Rights March' from the Cauvery Delta region to Raj Bhavan and claimed leaders of all political parties and the public would participate. The Centre is under pressure over setting up the Cauvery Management Board, after AIADMK leader M Thambi Durai said if the Congress party supports, the AIADMK is ready to move no confidence motion against government on the Cauvery issue. This is being seen as a clever move by the AIADMK, who, the opposition alleges is the team B of the BJP in Tamil Nadu. With the stakes high in Karnataka, which goes to polls on April 13; just like the BJP, the Congress too can't afford to be seen as championing the cause of CMB, which the Karnataka government opposes. The Supreme Court's order of constituting the CMB ended on March 29.